Bangalore: India plans to appeal against a South Korean court order sentencing two Indian ship officers to prison for their role in South Korea’s worst ever oil spill last December. 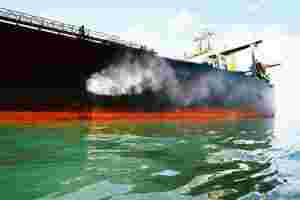 The Daejeon court on Wednesday overturned the 23 June judgement of a lower court that exonerated the crew of oil tanker Hebei Spirit and sentenced Jasprit Chawla, the ship’s captain, to a year in prison. Chawla was also slapped with a 20-million-won (about $14,349, or around Rs7 lakh) fine. The court also gave the ship’s chief officer Syam Chetan an eight-month jail term. The June judgement, given by a branch of the Daejeon district court in the city of Seosan, found Chawla and Chetan innocent of all charges of violating ocean pollution law as was the owner of the vessel, Hong Kong’s Hebei Spirit Shipping Co. Ltd. The ship, a oil super tanker, was at anchor at its port authority-designated position, about 5 miles off Taean on the west coast of South Korea, laden with 264,000 tonnes of crude oil, waiting to discharge the cargo. On 7 December 2007, when a barge carrying a floating crane was being towed, it broke loose because of gale force winds and collided with the tanker, puncturing the ship’s bottom and spilling 10,500 tonnes of crude oil. The lower court concluded that one of the tugs towing the crane barge was responsible for the incident. But the government filed an appeal against the order. The Korean Maritime Safety Tribunal, said both the Hebei Spirit’s officers and the crew of tugs were to be blamed for the casualty. India has recently expressed concern over what it called as “ failure" of the Korean tribunal to follow the International Maritime Organization Code for the investigation of marine casualties and incidents. India’s ambassador to South Korea had also taken up the matter with the Korean government after the shipping ministry asked the external affairs ministry to interfere.